The Honorary Chairman of the CIMH is the Honorable Koji Sekimizu, Secretary-General Emeritus of the International Maritime Organization (IMO). However, as a new organization the Consortium is currently focusing on it’s first effort, and hence organized around, moving forward the World Congress. With a BS in industrial engineering from Hofstra University, Daniel J. Basta worked in the aerospace industry and as a management consultant before returning to graduate school for an MS in engineering and policy sciences from the State University of New York at Stony Brook, intending to focus on environmental and natural resources management. He held positions at Resomces for the Future in Washington, DC, the Environmental Studies Board of the National Academy of Sciences and John Hopkins University. Mr. Basta joined the National Oceanic and Atmospheric Administration (NOAA) in 1979, and in January of 2001 he was named director of that organization's Office of National Marine Sanctuaries, the agency responsible for preserving the natmal, historical and cultural marine resources in the 13 national marine sanctuaries and in Papahanaumokuakea Marine National Monument, named a World Heritage Site in 2010. In his own words: "Within a year or so of assuming leadership of the program, I began to see that the struggle we faced was to get people's attention, to focus their interests, and com1ect them, wherever they may reside, to the maritime experience." Under Mr. Basta's leadership, community involvement was increased in sanctuaries by expanding the number of advisory councils to 15, including the Business Advisory Council, and ten new vessels designed specifically for outreach, education, research and enforcement were added to the sanctuaries' fleet. In most recent news, the Thunder Bay National Marine Sanctuary in the Great Lakes announced its expansion in September from an area of 448 square miles to 4,300 square miles. The Office of National Marine Sanctuaries created award-winning film products for educating Ame1icans about the importance of sanctuary resources, opened six new visitor centers and established 32 new aquarium partnerships. Under his direction, the sanctuary system continues to build partnerships with public-private organizations, industries, and academia. In 2002 Mr. Basta created the Maritime Heritage Program, whose projects include the recovery of artifacts from the site of the Civil War ironclad USS Monitor and their placement in the Monitor Center and Conservation Laborat01y at the Mariners' Museum. Other wrecks discovered and investigated in sanctua1y waters include the steamer Portland, lost in the Portland Gale of 1898; the rigid airship USS Macon; and a whaleship linked to the story of the whaler Essex. The Maritime Heritage staff reaches out to engage and educate the pub! icon these and other fascinating pieces of our maritime past. One of the biggest innovations during Mr. Basta's tenure has been the introduction of the sanchiary nomination and evaluation process, by which the nation considers new sites for National Marine Sanctuary designation. Through this community-based nomination process, citizens are encouraged to engage in discussions and debates, and to a JTive at their own conclusions and recommendations. Mr. Basta describes it as "a true bottom-up process," and is confident that it will result in the nomination of qualified sites of cultural and/or maritime heritage significance. It is for these significant innovations in the Office of National Marine Sanctuaries and the vast growth of public outreach, education and involvement in our maritime heritage sites that Daniel J. Basta will be receiving the NMHS Distinguished Service Award. James P. Delgado is a maritime archaeologist who has spent nearly four decades in underwater exploration. A veteran of over 100 shipwreck investigations around the world, his work has included RMS Titanic, USS Monitor, USS Arizona (BB-39), Sub Marine Explorer, the buried Gold Rush ships of San Francisco, and Khubilai Khan's legendary lost fleet. He has received five prestigious book awards and spoken worldwide to hundreds of groups and organizations including high schools classes, university groups, scientific, archaeology, and business organizations and is a frequent lecturer for Zegrahm Expeditions and the Archaeological Institute of America. Capt. Frederick Francis is an accomplished seafarer and researcher with a wide spectrum of experience. He took nine commands before coming ashore with the Singapore Polytechnic. Under a scholarship, he read law at Cardiff University and was admitted to the Degree of Master of Laws (LL.M), earning a distinction for his dissertation. Frederick is an expert in maritime law and was an IMO-ASEAN legal consultant. He is the Founding Commodore of the World Maritime Heritage Society and has completed several maritime heritage projects with co-funding from the National Heritage Board and the Maritime Port Authority of Singapore. Currently, he has created a maritime learning journey for pre-schoolers to further their understanding on maritime heritage and history. He has eight published books including History of Singapore – Islands & Islanders. His hobbies including ironman competitions and is a regular blood donor with over 150 donations. 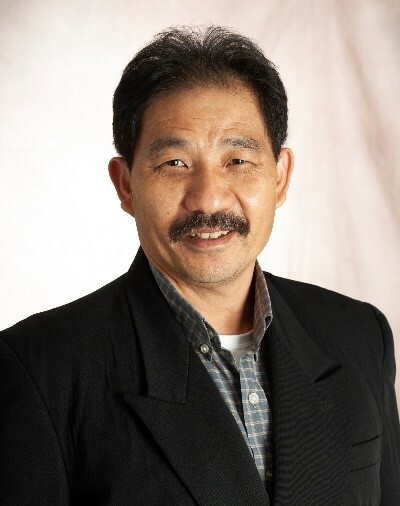 He has won many awards including the Port of Singapore Authority Commendable Act award, the United States Coast Guard Public Service Commendation award and USCG Certificate of Merit, Innovative & Creativity award, Research & Development Commendation award, Best recruit, Outstanding soldier, Ministry of Education - Service to Education Award, etc. Currently employed by the Singapore Polytechnic since August 1996 as the Assistant Centre Director, Centre of Excellence for Maritime Safety at Singapore Polytechnic. Peter enjoyed a first career in the British Royal Navy, that included over 20 years at sea and 5 years in seagoing command. He also gained a civilian BSc (Hons) in management. He joined ICS in 2001 and for several years led ICS representation on maritime safety, security and environmental issues at the IMO and elsewhere. He was appointed Secretary General of ICS in July 2010 and today focuses on enabling the ICS team to optimize its effectiveness on behalf of international shipping. The membership of the International Chamber of Shipping (ICS) comprises the key national shipowners’ associations from around the world and represents more than 80% of the world’s merchant tonnage. He is a research affiliate for the MIT Media Lab Open Agriculture Initiative. In 2011, he was named by the First Minister of Scotland to be Chairman of the Advisory Board for the Government of Scotland’s Saltire Challenge Prize for marine renewable energy. He also serves on NOAA’s Sanctuary System Business Advisory Council. He is a member of the boards of directors of Mystic Aquarium and the Amazonian Center for Environmental Education and Research (ACEER). Garcia also has served on the U.S. National Committee for the Census of Marine Life, as well as panels convened by the National Academy of Sciences and the National Academy of Public Administration. 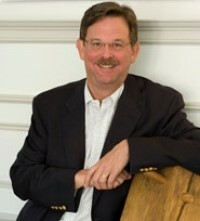 Mark Spalding is a member of the Ocean Studies Board of the National Academies of Sciences, Engineering, and Medicine. He is serving on the Sargasso Sea Commission. Mark is a Senior Fellow at the Center for the Blue Economy, at the Middlebury Institute of International Studies.In addition, he serves as the CEO and President of SeaWeb, is the advisor to the Rockefeller Ocean Strategy (an unprecedented ocean-centric investment fund) and designed the first-ever blue carbon offset program, SeaGrass Grow. He is also a member of the Pool of Experts for the UN World Ocean Assessment. Mark is an expert on international environmental policy and law, as well as coastal and marine philanthropy.He holds a B.A. in history with Honors from Claremont McKenna College, a J.D. from Loyola Law School, and a Master in Pacific International Affairs (MPIA) from UCSD’s Graduate School of International Relations & Pacific Studies (now called the School of Global Policy and Strategy). Carleen Walker is the Co-Founder and Executive Director of NAMEPA (North American Marine Environment Protection Association) and IMO Maritime Ambassador, leveraging off her experience as a marketing and communications professional in the commercial maritime industry with over 39 years of experience. She specializes in identifying, developing and implementing strategic marketing and communications programs that increase the visibility and effectiveness of NAMEPA as well as the development of educational resources promoting marine environment protection. She works to develop strategic alliances between industry, regulators, conservation groups and educators to “Save Our Seas”. In 2015, Ms. Walker was appointed an Ambassador by the International Maritime Organization (IMO). She is a member of WISTA (Women’s International Shipping and Trading Association) where she serves as Press Officer for the International organization, the Connecticut Maritime Association, the Marine Society of the City of New York, INTERTANKO, The National Press Club, WIMAC (Women in Maritime Association, Caribbean) and is a Past-President of the Propeller Club Chapter of the Port of NY/NJ, as well as a Trustee of Sea Research Foundation. She was also elected to the Board of Trustees of the Coast Guard Foundation, the Tall Ships America Foundation, New York Harbor Foundation and the New Era Academy Transportation Technologies Program in Baltimore. Ms. Walker is also Chief Executive Officer of Morgan Marketing & Communications, and the Co-Founder/Executive Director of the Merchant Marine Policy Coalition and the Consortium for International Maritime Heritage. In 2010, she was awarded the Certificate of Merit by the United States Coast Guard and in 2014 a Public Service Commendation for her work on World Maritime Day and AMVER, respectively. Ms. Walker graduated from Wellesley College with a BA in Political Science and History (minor in Economics) and studied Accounting at Cornell School of Business Administration, and is a trained facilitator and media trainer. She held a USCG Captain’s license. He graduated in March 1975 with a Bachelor's degree in engineering at the Engineering Faculty of Osaka University, and obtained a Master's degree in engineering in March 1977 at the Post-graduate School of Osaka University. In April 1977, he entered the Ministry of Transport of Japan (MOT) and was appointed as a Ship Inspector in the Nagasaki district branch of Kyushu Maritime Bureau. In April 1979, he moved to the Headquarters of MOT and acted as the officer in charge of IMO regulations in the Safety Planning Section of Ship Bureau. In April 1982, he was promoted to Deputy Director of the Environment Division, MOT. He moved to the Ministry of Foreign Affairs in April 1984 and appointed as Deputy Director, Second International Organizations Division, Economic Bureau, in charge of OECD related issues. On his return to MOT in September 1986, he was appointed as Deputy Director, Safety Standards Division, Maritime Technology and Safety Bureau. On 2 July 1989, he joined IMO as Technical Officer in the Sub-Division for Technology, Maritime Safety Division of IMO. In 1992. He was promoted to and appointed as Head of the Technology Section. After this, he worked in the Maritime Safety Division until October 1997. During this period, he performed among other things secretariat functions to the MSC Working Group on SOLAS amendments dealing with new fire protection measures for passenger ships in the wake of the Scandinavian Star incident and the MEPC/BCH Working Group on Prevention of Air Pollution from Ships, which developed the framework of MARPOL Annex VI adopted at the Marine Pollution Conference in 1997. In October 1997, he was promoted to Senior Deputy Director of the Marine Environment Division and was then appointed as Director of the Marine Environment Division in August 2000. In his capacity as Director, he led the Marine Environment Division in discharging its responsibilities to support the work of the Marine Environment Protection Committee (MEPC) in dealing with the phasing-out schedule of the single-hull tankers in the aftermath of the Erika(1999) and Prestige(2002) incidents and handled a number of emerging new environmental issues including harmful anti-fouling paints, ballast water management, ship recycling, particularly sensitive sea areas(PSSAs) and greenhouse gas emissions from ships. - The comprehensive review of the 1978 STCW Convention. Among the activities related to the effort to protect vital shipping lanes, he made major contributions to the creation of the Cooperative Mechanism established by the three littoral States in the Straits of Malacca and Singapore; and the adoption of the Djibouti Code of Conduct for anti piracy activities in the Gulf of Aden and the Indian Ocean. On 28 June 2011, he was elected Secretary-General of IMO by the 106th session of the IMO Council and, having been approved by the 27th session of IMO Assembly, appointed, on 1 December 2011, the seventh elected Secretary-General of IMO by the 107th session of the Council for the initial period starting from 1January 2012. Owing to personal reasons and his determination to provide full support to his wife in dealing with her health problems, he decided not to seek reappointment and retired from the service of IMO in the fullness of his four-year term on 31 December 2015. - significant improvements in the financial sustainability of the World Maritime University including the creation of the Endowment Fund. In the legislative fields, he promoted the adoption of the Cape Town Agreement, IGF Code, Polar code and amendments to SOLAS and other Conventions to enforce Mandatory IMO Member States Audit Scheme and promoted the early entry into force and global implementation of the Ballast Water Management Convention. 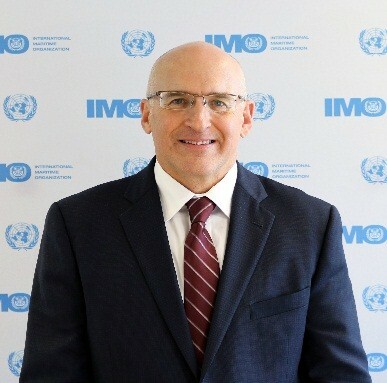 In other fields of activities of IMO, he took a strong leadership in dealing with piracy, including convening of the High-level Segment of the Maritime Safety Committee, the promotion of regional cooperation among signatory States to the Djibouti Code of Conduct, the setting up of the Djibouti Regional Training Centre and the provision of support to the countries of western Africa on anti-piracy measures and secured inter-agency collaboration for the development of appropriate response to humanitarian crisis generated by unsafe mixed migration by sea. He also encouraged Member Governments to promote Maritime Heritages and initiated actions to establish the IMO Maritime Ambassadors Scheme. IMO Assembly adopted Resolution A 1094(29) on the Appreciation of the Services to the Organization of Mr Koji Sekimizu on 29 December 2015 and designated him as Secretary-General Emeritus of the International Maritime Organization with effect from 1 January 2016. IMO Council at this 115th session, in recognition of his outstanding and exemplary service as WMU Chancellor, accorded him , as from 1 January 2016, the title of WMU Chancellor Emeritus. In 2016, he was designated as Honorary Chairman of Consortium of International Maritime Heritage (CIMH). In 2016, he was appointed as Special Advisor to the President and Special Professor of Kobe University, Japan. In 2017, he established his personal institution, "Ariake Global" in Fukuoka, Japan, for the promotion of maritime heritages and the study of maritime industries and Maritime Governance. He is a Member of the Japan Society of Naval Architects and Ocean Engineers, the Japan Society for Nautical Research and the Alumni Society of Naval Architects of Osaka University, "Kousi Zosen Kai". He is married and has a daughter and a son, and two granddaughters. He plays golf and his interests include playing the guitar, composing songs and preserving traditional Japanese house made of wood and gardens. Albert Teo brings with him a wealthy experience in international relations and emerging economies. His extensive and close professional network with numerous diplomatic and governmental agencies worldwide harnesses tremendous trans-border business opportunities. Trained in business logistics with an expert hand in commodities & agriculture trading, Albert has run multi-million dollar businesses in many emerging markets, such as Africa Angola, Botswana, Middle East, South East Asia handling the global operations and international relations of the business. Albert represents National Olympic Committee Republic of Angola as Deputy Chef-de-Mission and Country Representative in the Second Youth Olympic Games 2014 held at Nanjing. Albert had served one term as Ambassador Honorary for National Olympic Committee and currently serving the fourth terms with Olympic Council Sukhbaatar district Republic of Mongolia to Singapore. Albert was awarded the Mongolia Olympic Meritorious Medal in 2010 and the Highest Glorious Medal for his outstanding performance. Albert currently appointed as Representative of National Olympic Committee United Republic of Tanzania covering Singapore and South East Asia. Albert was appointed Special Envoy Busega District Council United Republic of Tanzania to South East Asia, also appointed Representative National Olympic Committee United Republic of Tanzania to Singapore covering South East Asia. Ole Varmer is an attorney adviser with the International Section, NOAA Office of General Counsel. He has been within DOC since 1987 and with NOAA since 1990, providing legal advice on domestic and international ocean and coastal matters. He has worked on Coastal Zone Management Act issues and was the lead attorney in establishing a number of Marine Protected Areas including the Stellwagen Bank, Thunder Bay and Florida Keys National Marine Sanctuaries and National Estuarine Research Reserves off the Mid-Atlantic coast. He has served in his current position in the GC International Section since 1998. As an attorney-advisor he works on a variety of international issues and is primarily responsible for providing advice on the subject areas involving natural and cultural heritage, marine spatial planning, marine protected areas, biodiversity and jurisdiction under the law of the sea maritime zones. Prior to DOC/NOAA, Ole was the Editor-in-Chief of the International Law Students Association (ILSA) International Law Journal and a legal assistant at several firms between 1981-1987. He has a J.D. from the Benjamin Cardozo School of Law and a B.S. in Business Administration from Columbia Union College. He has a number of publications and presentations particularly in regard to maritime heritage. Timothy J. Runyan is Professor of Maritime Studies and Faculty Fellow in the Honors College at East Carolina University, Greenville, NC. He holds a PhD from the University of Maryland, and studied at the University of London. Teaching positions include Cleveland State University and Oberlin College. He recently served as Manager of the Maritime Heritage Program at the US National Oceanic and Atmospheric Administration (NOAA), Office of National Marine Sanctuaries where he helped initiate the Voyage to Discovery project focused on African American maritime heritage. He is the author of books and articles on maritime history and archaeology and chairs the editorial board of Sea History magazine published by the National Maritime Historical Society. A scuba diver, his investigation of historic shipwrecks includes sites in the Caribbean, Atlantic, and Gulf of Alaska. He served ten years as president of the Great Lakes Historical Society. A founder and trustee emeritus of the Great Lakes Science Center in Cleveland, Ohio, he also led efforts to preserve the 618-foot steamship William G. Mather as a museum ship. As chairman of the National Maritime Alliance, he led advocacy efforts that secured $7M in federal funding for the National Maritime Heritage Act public grant program. Grants have been awarded to more than one-hundred maritime heritage organizations. Mr. Kenney currently serves as the Director of Legal and External Affairs at the International Maritime Organization, London. In this capacity, he is responsible for advising the Secretary-General on all legal issues associated with the functioning of the Organization, with special emphasis on matters of treaty law and the law of the sea. Heprovides legal counsel to the Secretariat staff supporting IMO’s committees and subcommittees and has particular responsibility as Secretary for the Organization’s Legal Committee. He oversees the Organization’s role as depositary for the 53 multilateral conventions adopted under the aegis of IMO. He also oversees the operation of the IMO’s Public Information Service, its Maritime Knowledge Centre and External Relations Office. Prior to coming to IMO, Mr. Kenney served as The Judge Advocate General and Chief Counsel of the United States Coast Guard, attaining the rank of Rear Admiral. He was responsible for the delivery of all legal services to the USCG around the globe, with oversight of nearly 300 attorneys and 100 legal support personnel. He served as a Coast Guard judge advocate for 22 years of a thirty-three year military career, including service as the Coast Guard’s Chief of Maritime and International Law and a secondment to the US Department of State in the Office of Oceans Affairs. He was a member of the U.S. delegation to twelve different IMO committees and subcommittees and from 2009-2011, was the Head of the US Delegation to the IMO Legal Committee. He also served on several legal capacity-building missions in developing countries on behalf of the United States. Mr. Kenney has spent nearly 5 years at sea, including service on a polar icebreaker as a deck watch officer and conducting law enforcement and security operations. Mr. Kenney previously served as a judge on the Coast Guard Court of Criminal Appeals, and has extensive experience as prosecutor, defense counsel and appellate counsel in criminal cases. He also served as lead agency counsel in cases before the United States Supreme Court, and in the litigation arising from the Macondo 252/Deepwater Horizon oil spill. Mr. Kenney holds a juris doctor from the University of San Francisco School of Law, where he was editor-in-chief of the USF Maritime Law Journal. He also holds a B.A. in Economics from Michigan State University. Mr. Kenney has published several law review articles, has lectured widely, and was an adjunct professor of maritime law at Georgetown University Law Center and the U.S. Defense Institute for International Legal Studies. Steve White is President of Mystic Seaport Museum, the leading maritime museum in America. He joined the Museum in January of 2009 after a career as an educator, lastly as Headmaster of Fay School from 1990-2008. At Mystic Seaport Museum, Steve has focused on a revitalized vision, a bold strategic plan, the development of new digital educational programs, building partnerships, and renewing the Museum’s fundraising goals and capabilities. A key element of the vision was to take the Charles W. Morgan (1841) back to sea in 2014 following her restoration and the completion of the Thompson Exhibition Building in 2016, a 14,000 s/f building that has transformed the exhibition section of the Museum grounds. Steve has long served as a trustee of schools and non-profits, and he currently serves as the President of the International Congress of Maritime Museums. In 2015, he received the Connecticut Tourism Leader of the Year Award from Gov. Malloy. The National Maritime Historical Society presented Steve with their annual Leadership Award in 2014, and Rocking the Boat (Bronx) honored him with the Whitehall Award in 2013 for the Whaleboat Project. With a B.A. in English and Education from Hartwick College, he additionally completed coursework at Columbia University/Teachers College through a Klingenstein Fellowship. A native of Camden, Maine, Steve has long enjoyed a connection to the sea and has made two trans-Atlantic crossings. He and his wife Maggie now live in Stonington, CT.
Kelly Timmins is Senior Manager of Conservation and Education at one of the world’s biggest aquariums, S.E.A. Aquarium in Singapore, where her mission is to empower the public with the tools and knowledge necessary to make informed decisions that better protect the ocean.She holds a Master’s degree in Marine Environmental Protection and a BSc in Marine Biology from the University of Bangor in the UK, where she specialized in tropical marine ecology. As a highly experienced scuba diver, fully qualified PADI professional diving instructor, and AIDA qualified free diver, Kelly’s field experience includes researching coral recruitment in the Indian Ocean, and surveying whale shark and giant manta ray populations with the Maldives Whale Shark Research Project. Kelly has worked for more than 10 years in the zoological industry, acquiring a wide range of skills including strategic planning, conservation programming, content development, resource and financial management, and partnership and collaboration management. She is a passionate underwater photographer, and since relocating to Singapore Kelly has traded the cold seas surrounding the British Isles for the warm seas and coral reefs of Southeast Asia.